That’s White Shield in the glass, of course, bottle-conditioned Burton-brewed pale ale, which is also available in the Land of Sand, if you know where to look. I’d be very interested to know how it gets out to the Gulf: on container ship via the Suez Canal is my guess, though high charges through the canal and the threat of Somali pirates has meant that quite a few cargo ships now take the traditional route round the Cape of Good Hope – which means that this could be an India Pale Ale making a not totally dissimilar similar journey from Burton upon Trent to the East that the same beer would have been making in the 19th century. Is White Shield also available a little further east of the Gulf, in India? Is it shipped via the Cape? Was Pete Brown’s journey unnecessary? 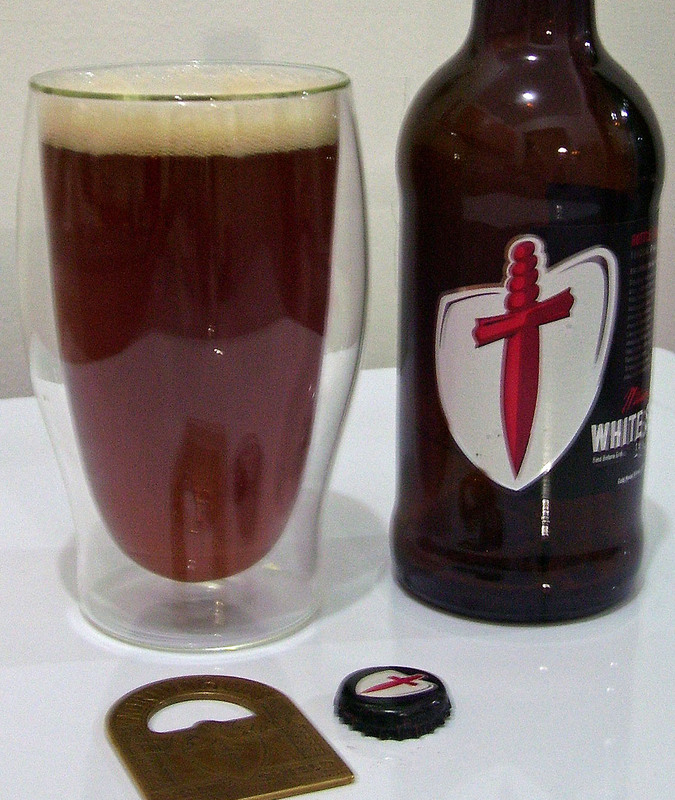 In the 1980’s, I used to buy White Shield in London and bring it home (by air of course) to Canada. It got some jostling on the trip over, e.g., in Heathrow and Pearson airport trolleys. Admittedly the trip over was a smoother and shorter ride than on an East Indiaman going around the Cape. The beer tasted on arrival as it did in London. I taste occasionally West Coast IPAs in Toronto today that have made a longer trip temporally. This would be by truck generally and probably sometimes the beer gets some rough handling that might equate to that of the old journeys around the Cape, at least at certain times of the year. To be honest, even these highly-hopped and very bitter beers beers (which to my taste White Shield was not, at least in the 1980’s) rarely taste as good after a trip like that than they do “mild” on their home turf. (Same with numerous Belgian bottle-conditioned beers). As for improvement, I have never found this. Still, I am prepared to accept there was something special about the old Hodgson’s and other pale beers in India. I think it may have been a combination of unique factors: very high hopping with the best English varieties, the rocking perhaps of the ships, perhaps a slight re-fermentation in the bottles or hogsheads. I doubt that the containers that White Shield is shipped in are climate controlled – the beers that Meantime ship to the Americas, for example, are packed into ordinary containers, just like any other cargo – I know that for a fact as I’ve loaded them. I would accept that a modern container ship would roll and pitch less than a (much smaller) 18th or 19th century sailing ship, but I still think that it would be interesting to taste, say, White Shield in Dubai…..
Actually, thinking about it, the beers that Meantime ship to the US west coast go in ordinary containers to Oakland California, presumably through the Panama Canal, so Meantime IPA on the west coast should be worth trying too. Pingback: British Brewer » Blog Archive » Some interesting Christmas present ideas….